CHENNAI is located in the South of India in the state of Tamil Nadu. There are loads of delicious street foods and meals to sample here. 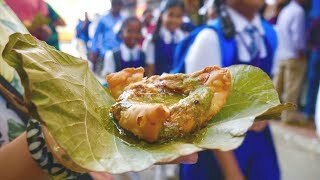 We take you on a DELICIOUS INDIAN STREET FOOD tour starting in Sowcarpet where there are a number of North Indian street food stalls before we eat Chettinad food. Chettinad food is the cuisine of the Chettiar community who are from Tamil Nadu. We promise this is some of the best food in Chennai- you don’t want to miss this video! Onion Kachodi at Maya Chat, 36/10, General Muthiah St, Elephant Gate, George Town, Chennai, Tamil Nadu 600001. Open 8:00am to 9:00pm. Closed Sunday. Chettinad meal at Amma's Chettinadu Mess, 1, Giri Road, T Nagar, Chennai, Tamil Nadu 600017. Open daily 11:30am to 4:00pm and 6:30pm to 11:00pm. If you like this video, please give it a thumbs up, share it and subscribe to our channel. Thanks so much for your support. We’re Thomas and Sheena, food and travel fiends. We travel full time, hunting for the best food in the world to showcase via our RUclip videos. Good videos and you have done your research. The aloo tiki looks really good. I’m so glad you know your ingredients so you can give a good food description. Random question, if you fold your bamboo plate away from you, does it mean you didn't like the meal? +Chasing a Plate - Thomas & Sheena thx for replying, I thought with your specification about how to fold bamboo plate that might be the case. 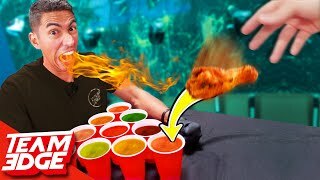 Looks watering mouth.. couldn't wait to try these foods. Usually one doesn’t eat the curry leaves, you leave it in the plate as it’s mostly for aroma. Next time eat more talk less..
Coming down to to my hometown from Sydney next week guys! Sowcarpet is on my list of revisit/ rediscover places! +Chasing a Plate - Thomas & Sheena Definitely excited! 3 weeks of leave and coming back only after Christmas Day. Sowcarpet is a mini Rajasthan and adds to Chennai's overall vibrancy in amazing food choices. I cannot wait to jump back into loading up on delicious vegetarian food, had to convert myself into a Chicken eater to survive in Aus lol. You seem to have missed the night food scene a bit...not sure if you have covered them somewhere, sorry if you have. But Chennai has these night time shops that open up after 5 or 6 and go on till 1am or 2am. They serve indo-chinese and usual south indian cuisine but its just cooked right in front of u and adds to the experience. Indo-chinese food is something special! Did you guys catch a cricket game in India? Kiwis love cricket too. LOOK AT SOUTH INDIANS THE DONT STARE AT FOREIGNERS LIKE NORTH INDIANS...THEY R SURE THEY R NOT INFERIOR TO WHITE PEOPLES UNLIKE NORTH INDIANS WHO QUESTIONS THEIR OWN HISTORY...FEELS INFERIORITY..
Hey guys great job but price you showed are too high as am from Chennai i can say this clearly. Chennai has many more places to eat , you've just scratched the surface. Love your videos. Keep rocking. Hi sheena did the indians hassle you coz yr asian ? my wife also asian she scared to go there . Chennai is proud of you guys! Please try world famous 'Dindigul Thalappakatti' restaurant when you visit Chennai next time. Chennai is a part of Tamilnadu and Tamil culture - thank you for exploring our culture!! try contacting local people for street food stuff . And the background music is 👎🏾 if you have an email ID I would like to send you Tamil music which you can add to your background.. Welcome to Tamil nadu , enjoy the Tamil cuisine and Tamil hospitality. I've watched way too many people from outside India do shows, where they seem to have very little idea about what's on their plate. Yours, refreshingly, isn't from that mould. Enjoyed the video. You've made me homesick now! What pleasantly surprised me was, you ate the dinner with hands, the way these tasty dishes are meant to be eaten. Very nice! 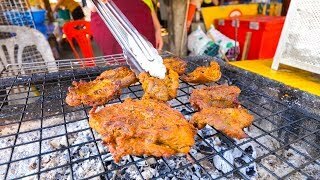 That aloo tikki looked out of the world...delish video...way to go sheena and Thomas.. best of luck fr your future videos..
A lassi cost ₹140? Are you really serious? What kind of oil do they use! Lard or veggie oil! Lard adds so much flavor! They don't waste anything like we do in the US just wondered. try south side food of south india. reallllly its super yummmy to taste with a special flavour. if u wish let me help u in that. welcome home to taste the real south side yummmy fooood. There are so many places we still have to visit to film! Check out our Mumbai videos here: ruclip.com/video/uZdnI85ueto/video.html and Indore videos here: ruclip.com/video/ec1KgxET1W0/video.html Hope you enjoy them! 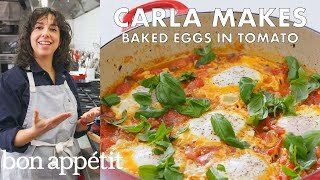 Yummy ... another great vid. That Chettinad food was so delicious and it looks like there is so much good food as you said ... I like it when you use your hand to eat the traditional Indian way :D, it's the only way to go. You guys rock! ... Keep up the good works ... and thanks for sharing. That guy at 10:31 looks so happy. 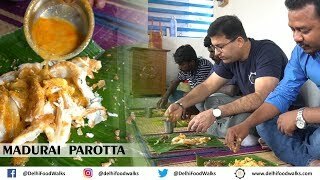 Guys - you are doing an awesome job.I am a Chennai-ite/Chennai-vasi and I have not been to these many places, shown in these videos.Some of these places are mouth watering and will surely try.Thanks much!! Highlight was, the way you guys handled the banana leaf. Not many people outside of South India, can handle finger food, with such ease.Cheers!!! Welcome to Chennai..mam.. you are rocking..
Great video..:-) i like the way you give description in ur videos.. Loved it, esp the hand eating was near to original, well done fellas, “Poitu Varen” was the best part.. keep traveling, keep eating.. They are not taking south Indian food. These are North Indians food items. The names are also in hindi. These gullible are being cheated. Chasing a Plate - Thomas & Sheena The title is misleading. 'The Ultimate South Indian Street food'. You should have titled it ' Chennai street food'. You guys should go to Saravana Bhavan if you havent already!!! One of the most popular food chains in South India! Chennai doesn't offer the best of kachodis & tikkis...But the chettinad food and the south indian snacks are the real delight there. Good one guys. Watch Siddappa hotel clip on RUclip in Bangalore/bengaluru..
Hope you enjoyed our Chennai food..
Yugi Maxi where is the proof? I would weigh 500 pounds if i lived there . Omg everything looks soooooooo yummy. The way they cook is like an art. Amazing! Wow, that was superb. That is what India is well known for. We have got the best of delicious food here atpretty reasonable price. Please stay connected. Showed this video to my Couchsurfers and they absolutely cannot wait for their trip to India now! The crab really got my tummy rumbling there! You two New Zealander’s have become Honorary South Indians 😀 - great vids! Been binge watching and sub’d because they’re so good ! One qn - many people say the street food causes upset tummies ! How have you both suffered from upset tummies !? 5:09 He asked you where are you from but probably you didn't get it. Thanks Thomas for visit Chennai. I love your food review and I know more about Chennai. I am from Chennai. Chasing a Plate - Thomas & Sheena Thanks for reply. sorry for mistake kindly read as "I want to know more about Chennai" instead of "I know more about Chennai" last video you tell more details about mylapore shops and snacks. I never know about these quality street foods. your video tells more about chennai. I am so happy about your chennai visits. If you have time please visit Madurai too...It's a food paradise. Who would go to South India and eat north indian food! Superb video, the Chettinad food is nice. when you go to any province you should focus only on its traditional food. Onion Kachori, Saffron lassi and Potato Tikki are not South Indian food.